It's now being one post in eight hours which either means high pressure is flat over the top of us (most people consider it boring until it shifts east or west to provide interesting weather) or we have a washout coming up. Tonight's 12z run has a generally cyclonic westerly pattern followed by low pressure parking itself on top of the UK out to day 10. Ever since I pointed out a trend for lower heights across the Arctic, the models have about-faced and moved strongly toward HLB becoming quite strong and very extensive during the 6-10 day period . This does look likely to bring a slow-moving low and usually cool (generally low-teens maximums at best) conditions for us to contend with for at least a couple of days and possibly longer. 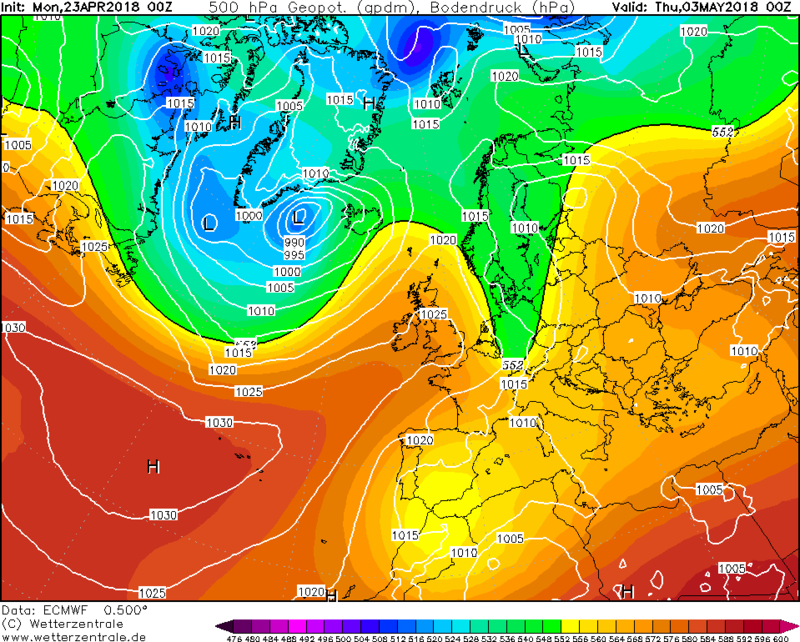 Things could get pretty interesting from a warm air advection perspective if the low then drops even further south as they often do in the mid-late spring. Much will depend on whether anything escapes E or NE and cuts off any warm air movement toward us, which is what the ECM 12z has sadly gone with. Hopefully we can get some westward adjustment to the position of the initial low as it drops south - a common modelling adjustment to see but, sadly, not an entirely reliable one. The latest model output shows our weather very soon becoming more changeable / unsettled and significantly cooler, however, all that basically means is a return to how it should be in late april but it will just feel much worse compared to what most of us have been enjoying this week..i.e..mid to high 20's celsius down to low to mid teens c! The latest model output shows our weather very soon becoming more changeable / unsettled and significantly cooler, however, all that basically means is a return to how it should be in late april but it will just feel much better compared to what most of us have been suffering from this week..i.e..mid to high 20's celsius down to low to mid teens c! That's not good, I suppose it holds off any water problems for this summer but you start to wonder just how wet this spring will turn out overall. just had a look in to fantasy world is looking very not summer weather to say the least!! 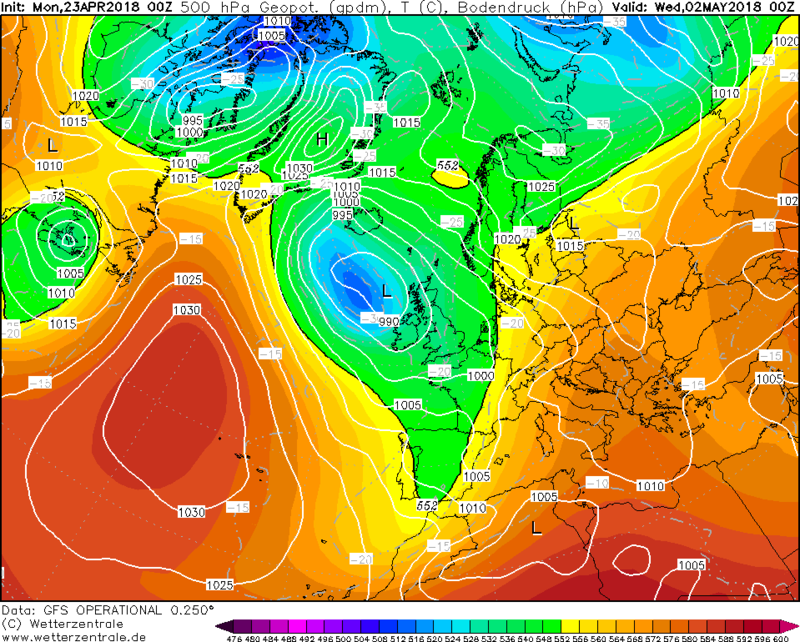 Not a pretty sight if you're looking for settled weather but once it moves away east it might allow something more summery to develop from the south west - worth watching anyway. I'll take that choice, SS: coolish with slow-moving thundery showers vs warmish with long sunny spells? Good thing too as last time we had a warm April,the summer was rubbish. 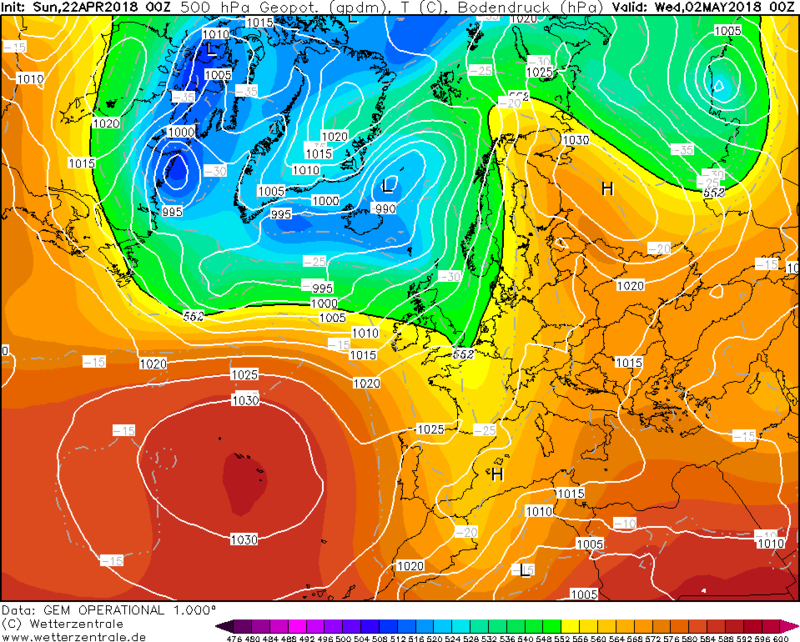 Back to Northern blocking again,maybe we won’t reach this weeks High temps again this year. Temps going below normal again soon,looks like this warm spell was a blip. The weather is and always will be variable, we live in an island with 4,000 miles or so of ocean upwind. Getting deep cold or intense heat for lengthy spells is not something that occurs with much frequency in the UK. 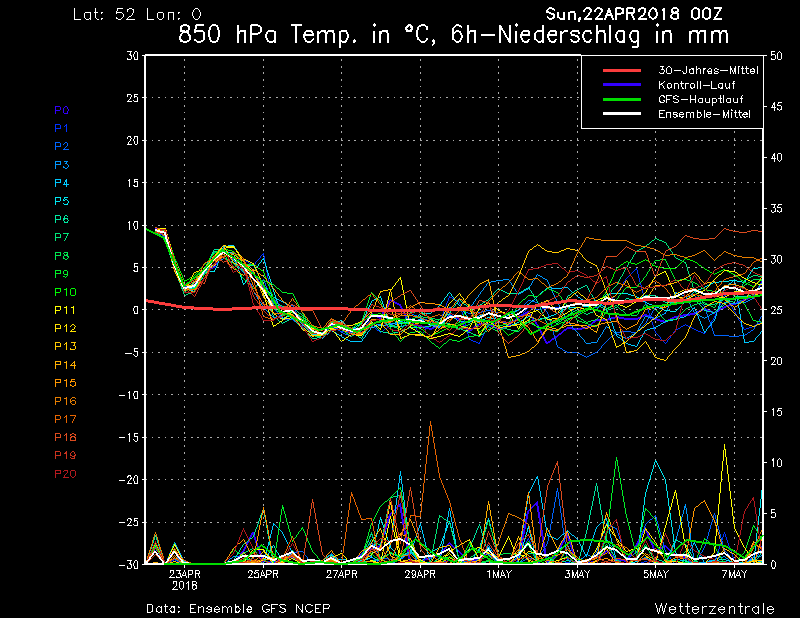 My favourite guides to what may happen suggest that any heat is not being predicted over the next 2 weeks other than the odd day for more SE'ern areas. 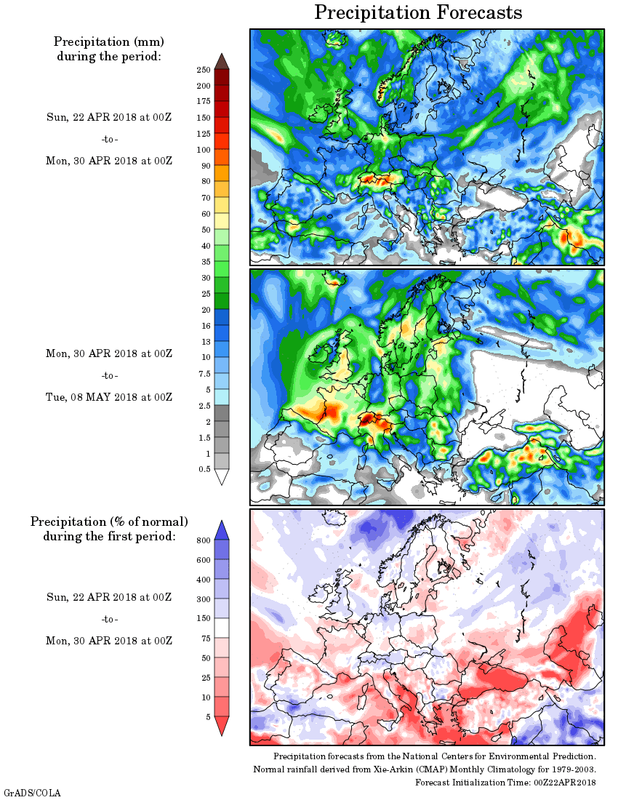 As to is this a predict for the summer=certainly not, much as the pattern, some suggested was locked in, during early winter, and we all know how the latter end of winter and early spring turned out. Are you seriously suggesting in mid April that we may not see temperatures in the mid to high 20s again for the rest of the summer? Last do for the tops anyone? 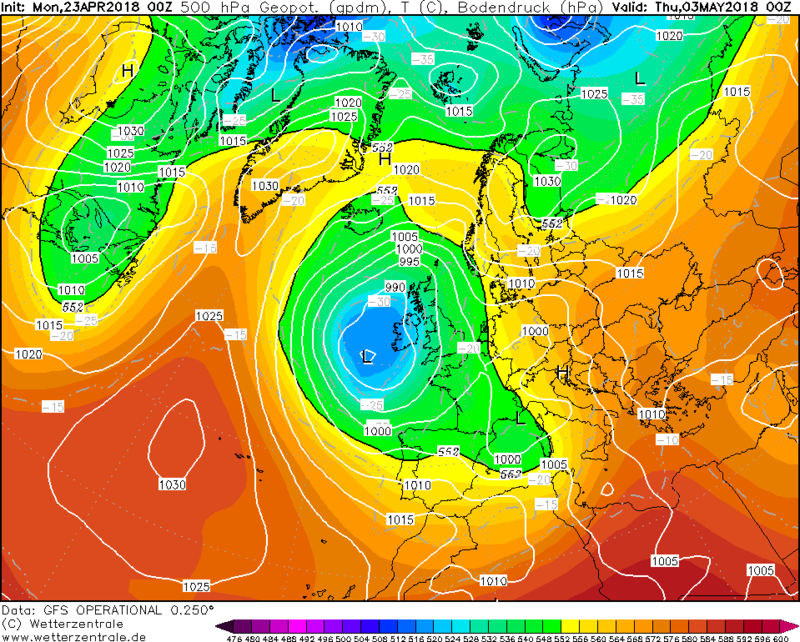 He said maybe which means perhaps / possibly... so I don't think he was seriously suggesting it but seriously, the week ahead looks changeable / unsettled and considerably cooler..in other words, a return to typical / normal april weather.  Edited April 22, 2018 by Frosty. 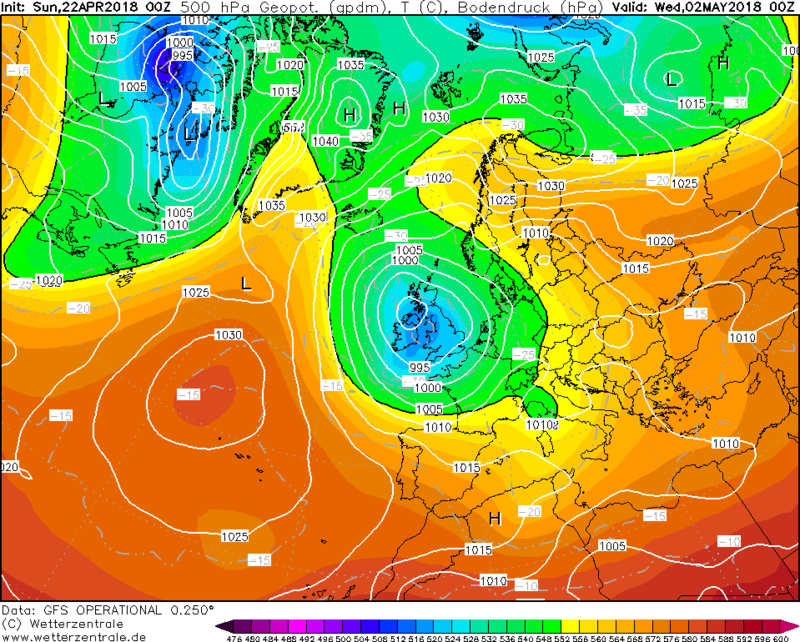 Just repeating what others have said - we are reverting back to very typical late April fayre in the days ahead. 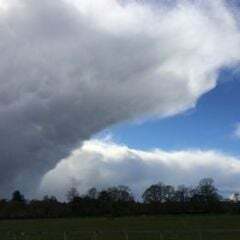 A changeable theme, with a westerly airstream becoming northwesterly, so feeling much cooler compared to the past few days, often quite wet or showery, slow moving outbreaks of rain at times and a gusty wind. All quite humdrum stuff, but there should be some brighter breaks in the east and south at times with temps quite respectable still. This time of year often brings quite cool cyclonic weather, as the atlantic settles into its annual slumber. 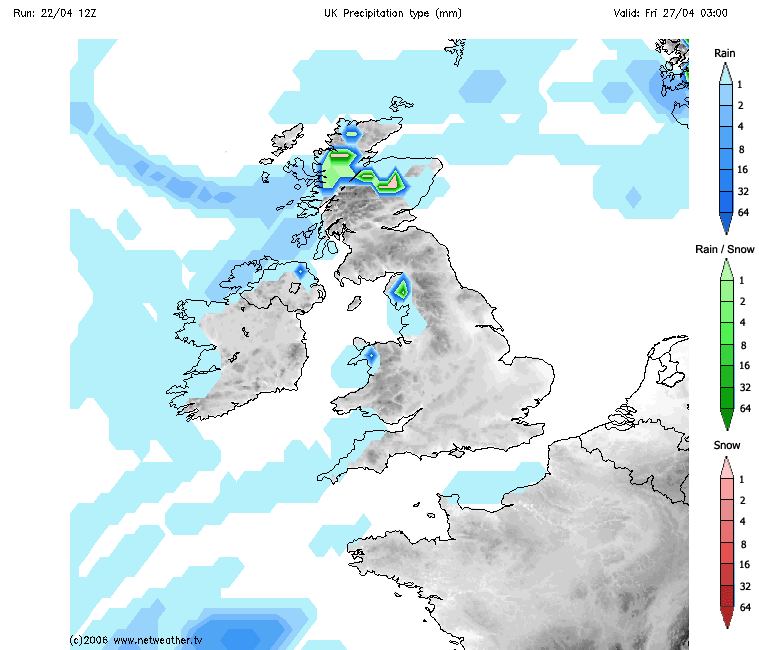 It is a highly variable time of year, weatherwise it bring a real mixed bag, sometimes notably cool/cold, sometimes notably warm, sometimes very wet, sometimes bone dry. 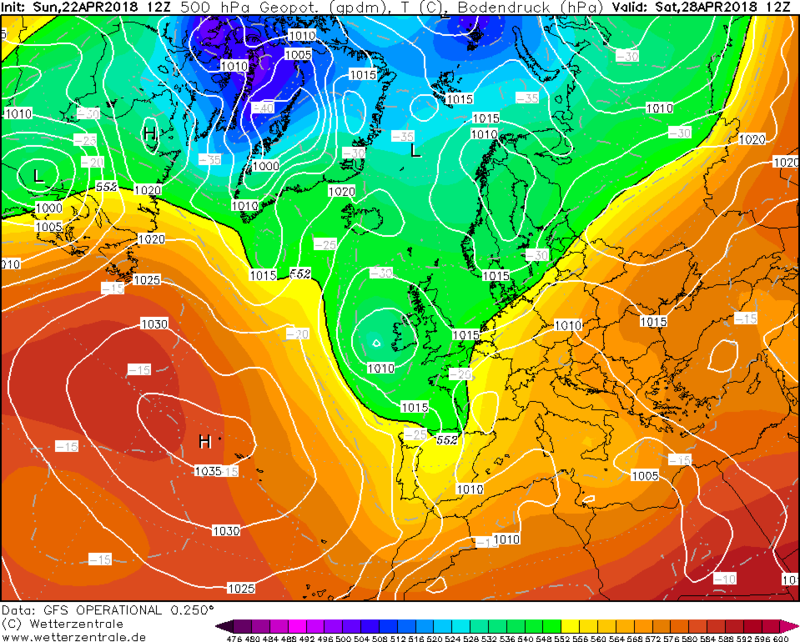 ECM is the only saviour this morning - GFS is vile, and keeps a trough parked over the UK for eternity. 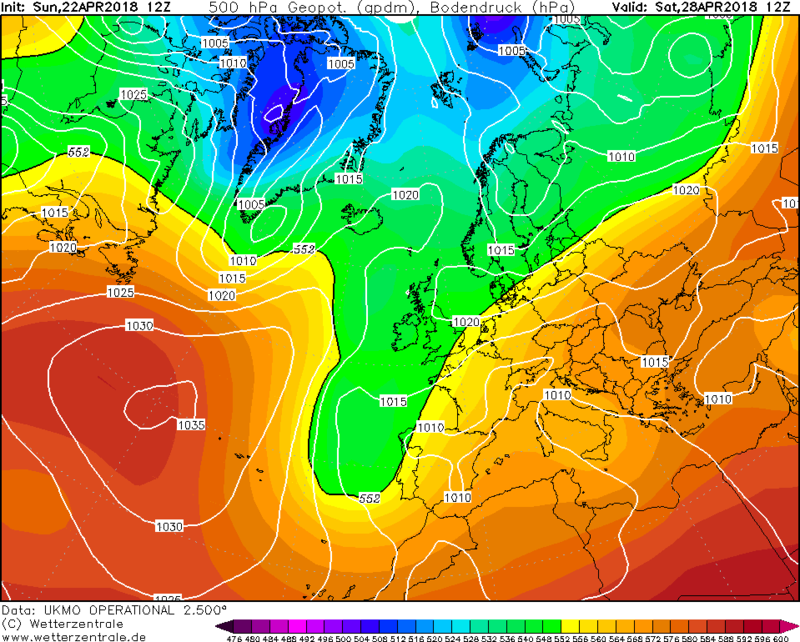 ECM at least starts to lift this out by days 9/10. It might be we have hell to pay for the amazing week of weather we have just had!